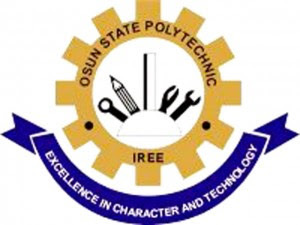 The management of Osun State Polytechnic Iree has directed all Principal Lecturers, Deans, Directors, HODs and Coordinators of Daily Part Time program of the Institution to resume and commence academic activities immediately, just as it declared that the Second Semester Examination of Full Time Students and First Semester of Daily Part Time Students will start on Wednesday 4th July, 2018. A statement personally signed by the Registrar, Barr. B. M. Salawu also directed all Part Time Academic Staff of the polytechnic to resume promptly for their normal duties. The release further states that Deans, HODs and Coordinators should ensure that normal academic duties are embarked upon in their various departments forthwith.